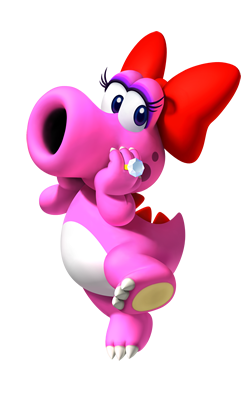 Birdo is a character in the Super Mario Bros. game series and Mario franchise. Her first appearance is in Super Mario Bros. 2 (actually a tweaked version of the game Doki Doki Panic), where she is a miniboss. A pink, anthropomorphic creature, she wears a red bow and large diamond ring, and fires eggs at her enemies. 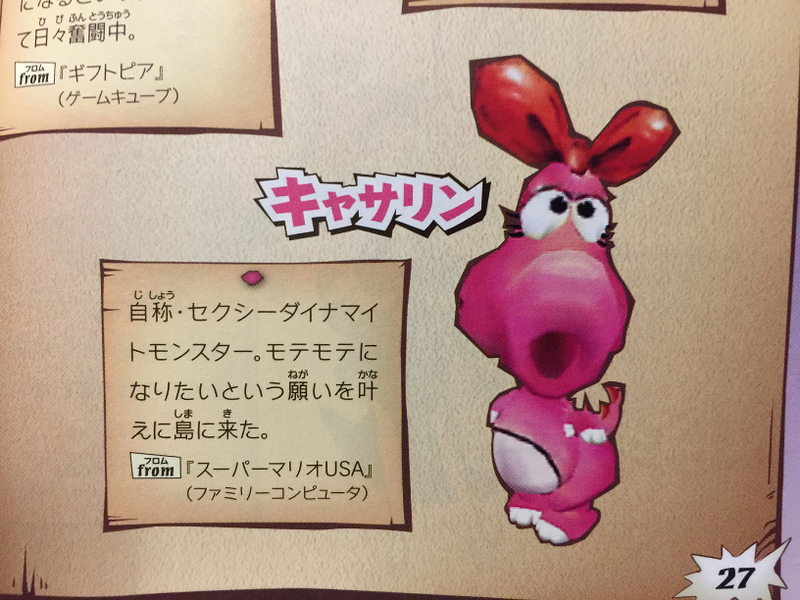 Many have asserted that Birdo is the first transgender video game character (see citation list below), largely because when the game came to the US, the manual stated “Birdo thinks he is a girl and likes to be called Birdetta. He likes to wear a bow on his head and shoot eggs from his mouth” (Crowder, 2009). Later reprints omitted that description. 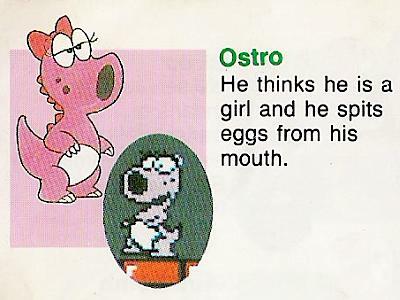 Birdo’s gender identity has been the subject of much discussion. She has been described as “infamously gender-confused,” though Nintendo has been inconsistent in its description of her gender identity. Game designer Jennifer Reitz suggests she underwent a Mario-universe version of gender confirmation surgery, while others speculate that she has to hide her identity in exported versions of the game because only Japanese consumers will accept her as a trans character. In 2000’s Mario tennis, Birdo is finally a playable character. She also appears to be in some sort of relationship with Yoshi. In most games, there is no reference to her being a trans woman, at least in the US versions. However, in Super Smash Brothers Brawl there is a hard-to-find trophy that states Birdo is of “indeterminate gender.” Moreover, there is a Japanese exclusive Wii game called Captain Rainbow, in which the player must free Birdo after she is imprisoned for using the “wrong” bathroom, as the robot jailer does not believe she is a woman. The video below shows this scene in Japanese (this article translates the plot however). Loguidice, B. & Barton, M. (2009). Vintage Games: An Insider Look at the History of Grand Theft Auto, Super Mario, and the Most Influential Games of All Time. Burlington, MA: Focal Press, 2009). p. 280. This entry was posted in 1980s, Changed in localization, Transgender, Transgender (implicit) on September 11, 2015 by Adrienne Shaw.